Group Travel in Charlevoix | Charlevoix, Michigan | Charlevoix the Beautiful! Whether you plan to bring your group to Charlevoix for a boating rendezvous, golf getaway, girls retreat, wedding, or historic tour let us help you plan. Located between the shores of Lake Michigan, Lake Charlevoix, and Round Lake harbor, the unrivaled beauty and charm of this classic resort town make Charlevoix an ideal group destination. Sandy beaches, petunia-lined streets, concerts in the park, farm markets, art and culture opportunities, gourmet restaurants, shops, galleries, orchards, and vineyards await in Charlevoix the Beautiful. 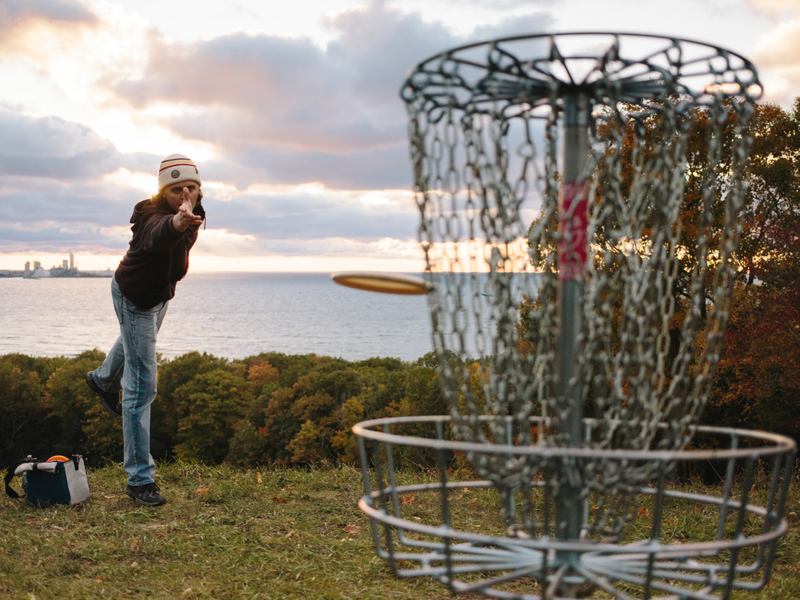 Coordinated tour packages and customization options make group tour planning in Charlevoix convenient and memorable. Arts-focused, cultural, historical, architecturally-based, culinary driven with orchards and vineyards, plus holiday- and festival-themed tours are all popular options among those with varied interests and group sizes. Charlevoix Convention & Visitor’s Bureau member properties offer special group discounts. Hotels range in size from 20-67 rooms, and bed-and-breakfasts accommodate smaller groups. Email or call (800.367.8557) Marketing Manager Katherine Forrester for your group travel needs and questions. Known as the “Mushroom Houses,” discover the fascinating architecture and intriguing history of these quaint little homes. Book a step on guide through the Charlevoix Historical Society to learn more about these amazing houses. Visit Friskes Farm Market and Country Haus Store for delectable baked good and locally made products. Build a specialized itinerary for your group with help of the experienced staff. Charlevoix offers one-of-a-kind group opportunities for groups large and small, wedding parties, and family reunions. Sunshine Charters — Cruise on Lake Charlevoix and Lake Michigan for day or sunset, and lighthouse tours. 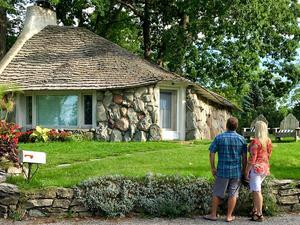 Mushroom Houses/Charlevoix Historical Society — Unique boulder architecture by famed Earl Young will inspire any group. 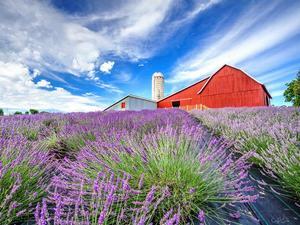 Lavender Hill Farm —Visitors of all ages are invited to explore and experience the awe-inspiring sight, scent, and taste of lavender. Friske's Farm Market - Experience a guided orchard tour aboard a wagon ride, enjoy delectable baked goods, and quaint country store for locally produced foods and extensive shopping. Beaver Island — Take a ferry ride to the once kingdom, currently known for serene beauty and lighthouses. Parsons Farm — Enjoy a tour of an active maple producer. Learn how this farm creates unusual maple syrup combinations. Groups can enjoy maple syrup tastings. Charlevoix Library — Tour the historic school transformed into a nationally recognized library. Farm Markets — Taste local produce, delicious baked goods, canned goodies, tasty wine, and orchard tours. Circle of Arts — Art center providing art exhibits, classes, and performing arts. Art Galleries — Numerous galleries offer local art from famed artists and will provide demonstrations and classes. 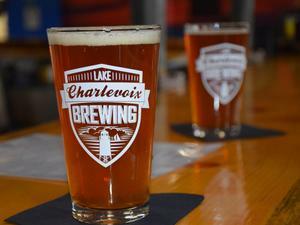 Lake Charlevoix Brewing — Sit down for craft beer tasting. Learn how brewers create unusual craft beer combinations. MORE — Festivals, events, concerts and adventure (bike, hike, sail, golf, snowshoe, cross-country ski, zipline, hot air balloon). The following restaurants are group friendly and often host motor coaches. Thank you for visiting https://www.visitcharlevoix.com:443/Groups! Be sure and revisit visitcharlevoix.com frequently for content updates and more.